The third power generation group was commissioned in April, bringing the current installed power to over 1 000MW. With these three generation groups in full operation, out of a total of six, Laúca has already consolidated itself as the largest hydropower plant in Angola, surpassing the installed capacity at of Capanda (520MW) and of Cambambe (960MW) Hydropower plants. When the sixth generator set – being currently assembled – comes into operation, Laúca will reach an installed capacity of 2 070MW, becoming one of the largest hydropower plants in Southern Africa, alongside the Cahora Bassa in Mozambique. It will contribute significantly to the stability of the national electricity system and employment creation. 95% of the the Laúca Hydropower plant work force is Angolan. The project has already created more than 13 000 direct jobs. In parallel, the plant project has developed social programs with the surrounding communities, focusing on education and on job training. Small enterprises were then established in the communities, organized in agricultural production units of flour, bread and soap. More than 300 families benefit from income-generating programmes. 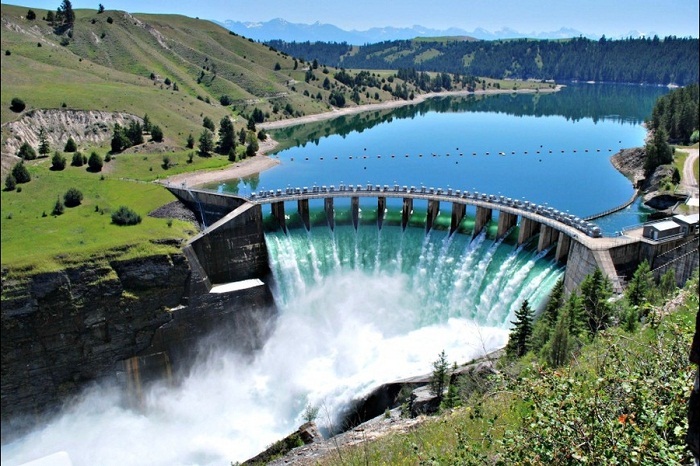 Construction of the Laúca Hydropower Plant is a project of the government, under the responsibility of the Ministry of Energy and supervised by the Office of the Use of Medium Kwanza. Odebrecht, the company responsible for the engineering, procurement and construction services, including the supply, assembly and commissioning of all electromechanical equipment, carries out the project. To export energy to the main consumer centres, the scope of the project also includes the execution of 750km of energy transmission lines and the construction and expansion of nine switch-yards.